IT’S TRUE WHAT THEY SAY: Home is where the heart is. Chef Marco Antonio Blanquer Torres would likely agree, as he started out nurturing Rembrand Restaurant Original Tapas & Paella in Dénia, Alicante, Spain, his family business, and now he brings a taste of Spain to the desert of Dubai as head chef of Salero Tapas & Bodega in Kempinski Hotel, Mall of the Emirates. At Salero, Torres creates the menus and recipes for the restaurant, as well as for functions, parties and outside catering events, with the goal of inspiring customers and keeping them coming back for more. His career has taken him from Spain and Dubai to China. Additionally, he designed the menu and trained the chefs for a Spanish restaurant at New Delhi’s 5-star Anya Hotel and Resort. Today, home is where the food is: Salero delivers tapas and traditional food-sharing platters with a modern twist, featuring selections from Spain’s best bodegas. The kitchen fires up paellas and homemade sangria while flamenco performances and live nightly DJs keep things hot in the dining room. It’s like stepping away from the desert landscape of Dubai and right into the heart of Spain. I’ve learned recipes from other chefs from all over the world, and I’ve then done them with my own touch. In Spain I worked alongside many renowned chefs, but it’s the experience from my own family business that drives me and is the best I have to offer. It’s two people: Rafa Soler Atanet and José Vicente Jorge Luch. Dénia is in the province of Alicante in Spain and from where my family business and restaurant originate. 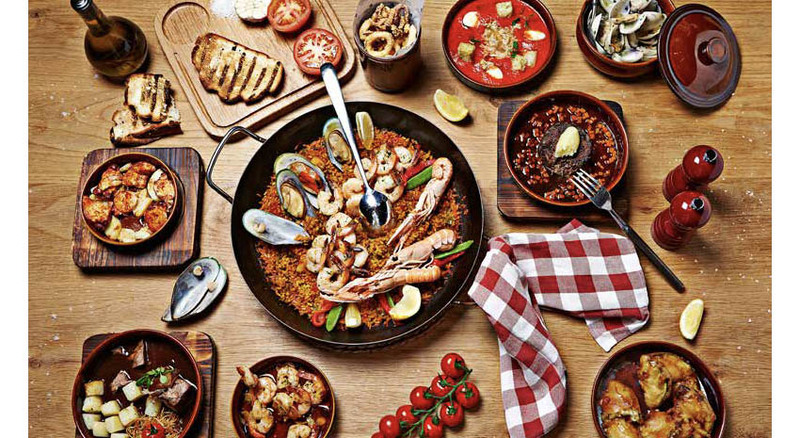 I try to implement my experiences from there into Salero Tapas & Bodega and into the menu to provide our guests with authentic Spanish cuisine in Dubai. Traditional street food seems to be of more interest to more people, with the potential to reach 5-star hotels, despite the casual nature of it. Also, I feel there is a shift to eat healthier and to take care of yourself more. The trend seems that being health-conscious is important to guests when selecting their next meal.